Sturdy construction, high endurance, rust resistant and dimensional accuracy are some of the attributes that make our Hose Pipes highly popular. 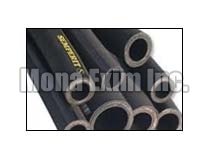 We are reckoned as one of the reputed Manufacturers, Exporters and Suppliers of Hose Pipes. Owing to our state-of-the-art manufacturing facility, we engineer Hose Pipes that are dimensionally accurate, rust resistant, heat resistant and high endurance. These products can be purchased from us at market-leading prices.